Among the most popular items Harry & David offers is pepper and onion relish. The lightly spiced gourmet sauce, along with its sweet pepper relish cousin, is a perfect dip for chips and a great addition to appetizers. 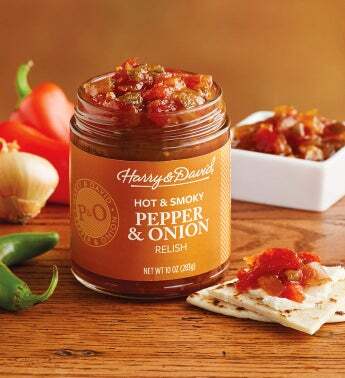 The smoky pepper relish variety adds a smoky flavor and some additional spice to the already amazing relish, giving it a zesty appeal.